The 27-year-old will be India’s No 4 during the showpiece event next month after pipping Ambati Rayudu and Rishabh Pant. 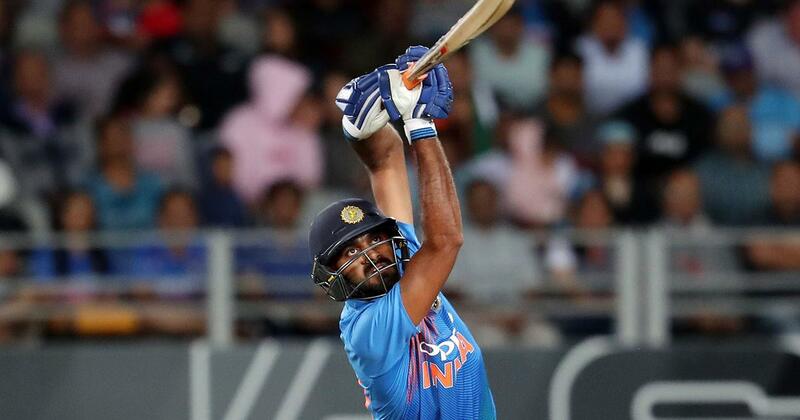 With players hardly getting a chance to sit down for a breather in the Indian Premier League, one wonders if Vijay Shankar would have tried to recap what has been a career-defining four months period. Imagine this scenario: If first-choice all-rounder Hardik Pandya had not suffered a horrific back injury in the Asia Cup last year, and slapped with a brief suspension for his comments on a talk show, would Vijay Shankar even have got a look-in? Some irate Indian fans on social media never wanted the 27-year-old to wear the blue jersey again after the dramatic Nidahas Trophy final against Bangladesh. Despite Dinesh Karthik’s last-ball heroics, Shankar’s struggles were not forgotten. Pacer Mustafizur Rahman was all over him with his variations at the tail end of the match, where he scored a painstaking 19-ball 17. Shankar was roundly vilified and was dropped from the side. 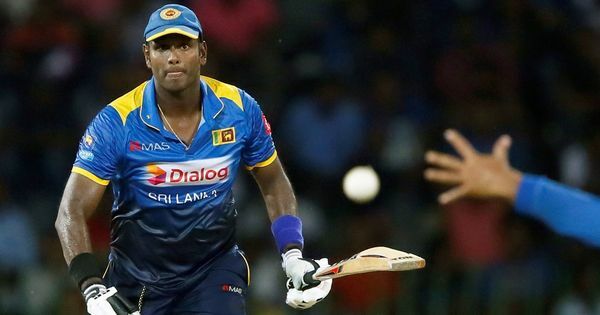 With the competition for places so fierce, few would have expected the Chennai-born all-rounder to get a second crack at making an impact, leave alone the selectors penciling him as the best No 4 available. 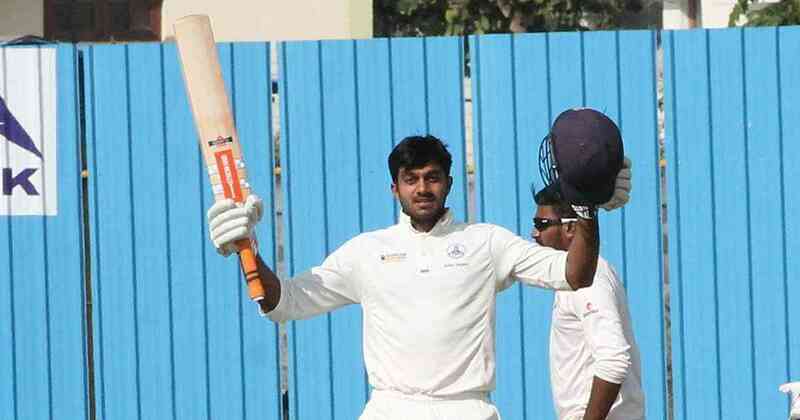 But there has been a pattern to Vijay Shankar’s career that revolves around his ability to adapt to the surroundings and spring back up from setbacks in a short span. Not for the first time, he had odds stacked against him. Moreover, the scars from Colombo still lingered. It was a tournament that started with so much promise for him, even winning a player-of-the-match award for, low and behold, his bowling. “For the first one week or so [after the final], it was like a nightmare. I had many sleepless nights,” Shankar said in an interview with Indian Express. Now, the boundaries flowed from his blade and there was a new-found oomph in his strokeplay. His footwork was more assured. Shankar is blessed with the gift of timing and fashioned two wins, when his team was chasing, belting the New Zealand A bowlers en route a 80-ball 87 and a 56-ball 59. Another fluent knock in the same series hauled him back in the reckoning. His survival instincts held him in good stead. Turn back the clock by a few years, Shankar had roadblocks even before making his first-class debut. He was deemed surplus to demands in the Tamil Nadu setup. Starting out as an off-spinner who batted down the order, the then 20-year-old was told that his state team already had a reliable battery of slow bowlers. It didn’t take long for Shankar to learn the ropes of pace bowling, something he was coaxed into by his childhood coach. But terrorising batsmen at express pace was not his forte. With a no-nonsense action and a slight frame, muscling balls out of the park was still a facet of the game that was a fair distance away from becoming a part of his repertoire. But batting was his first-choice weapon. Two years after making his first-class debut, there was a chance to earn overnight fame standing shoulder-to-shoulder with stalwarts. The local boy had his first tryst with the glamour and fanfare of the Indian Premier League, representing Chennai Super Kings. Shankar’s debut with the three-time champions was anything but remarkable. Happier days were around the corner, though. A consistent run with the bat in the Ranji Trophy – Shankar scored two hundreds in the 2014-’15 season – helped him bag a spot in the India A team. After two years of List A and domestic cricket, Shankar earned his first call-up to the Indian team, replacing Bhuvneshwar Kumar during the home Test series against Sri Lanka in late 2017. But he didn’t get any game time. This, of course. was long before the selectors were convinced that he could be a handy customer in white-ball cricket, and surely, not anything close to the “three-dimensional” messiah who would give India balance in the top-order. Those doubts were put to rest in the 2018 IPL, which couldn’t have come at a better time. Before that season, he had played a grand total of five matches in the tournament. Delhi Daredevils offered him a new lease of life as they went about building a team around young Indian talent. He scored 212 runs at a healthy average of 53, which came at an impressive strike-rate of 148. Now, the focus is back on him after booking a berth in the flight to United Kingdom next month. Ambati Rayudu, his competitor to India’s problematic No 4 spot, seemed like a sure-shot bet in the World Cup squad a month ago. The selectors had some explaining to do after overlooking young wicketkeeper Rishabh Pant, who has largely impressed during his breakthrough season. There is no shortage of nominees among batsmen in the country. Swashbuckling Mumbai batsman Shreyas Iyer has been on the fringes and continues to score big runs across formats consistently in domestic cricket. Youngsters Shubman Gill and Prithvi Shaw have made the right noises, earning their first international caps. Chief selector MSK Prasad said that KL Rahul will be a back-up opener, making Shankar a certainty at two-down as things stand. How well does he respond to pressure? If the ongoing IPL is anything to go by, there is some work to do for Shankar. With just 122 runs at 22 from seven games, it has been a below-par run for Sunrisers Hyderabad. It was poor form in the IPL that might have cost Rayudu his place. Luck has shined brightly on Shankar. His Tamil Nadu teammate Dinesh Karthik can say the same, having endured a poor IPL himself. On the field, Shankar’s athleticism and safe catching – an area where he scores over Rayudu – must have earned him brownie points. His bowling, in all probability, is not something skipper Virat Kohli would turn to. That has never been his go-to skill set either, and for good reason. Shankar is riding an all-time high. Those rigorous practice sessions on his terrace with his father for company under balmy afternoons in Chennai have steeled the soft-spoken cricketer. His exponential rise just months after receiving his first international cap, in many ways, is the most astonishing story of India’s World Cup squad. However, bigger challenges await him. Shankar will be playing in a position in the batting order that is usually reserved for seasoned players. He will need to do a lot more than get to stylish 30s and 40s to justify his place in the XI. Writing him off, whether one agrees with his selection or not, will be fatal.